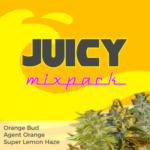 Jack Here Medical Marijuana seeds are well known for producing strong, potent, medical-grade Marijuana, with a long-lasting Sativa high. 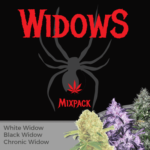 Named after the American Marijuana activist, Jack Herer, who campaigned for the legalization of Medical Marijuana, these seeds are some of the finest, freshest available online. Containing 80% Sativa and 20% Indica genetics, Jack Herer Medical Marijuana seeds are a complex blend of Haze, Northern Lights and Skunk, which produce strong, vibrant plants, perfectly suited for both indoor and outdoor growing techniques in both soil and hydroponic systems. 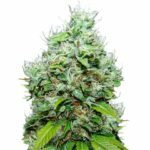 These high quality feminized Jack Herer Marijuana seeds are guaranteed to germinate, generating female plants with all the traits and characteristics you expect from one of the highest quality medical-grade strains. Only female plants generate buds, male plants produce pollen for fertilization. These feminized seeds eliminate the need for sexing, or wasted time growing and caring for male plants, producing guaranteed female-only plants. 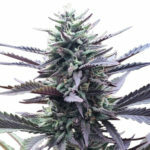 An easy and forgiving strain to grow, Jack Herer is a great strain for beginners and the more experienced grower alike. Grown indoors with good conditions and environmental controls, the female plants will reach between 150 cm – 180 cm tall with long branches and multiple budding sites. A great strain for Screen-of-Green (SCROG) growers, quickly producing a thick, healthy canopy and many flowering shoots. Flowering times average 60 days for the plant to flower, bud and completely mature, producing dense, colorful buds with large swollen calyxes and a thick coating of resin. Indoor yields are good, producing between 450 – 550 grams of dried, medical-grade Marijuana buds per square meter. 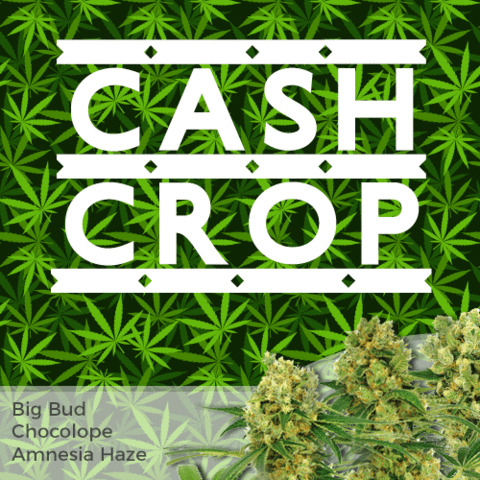 Experienced growers utilizing advanced growing techniques such as super-cropping, topping and bending can enhance these yields, while outdoor growers can generate ‘tree-like’ plants with extremely high ‘per-plant’ harvests. Many of the growing techniques mentioned above are learn by experience, either your own, or others. You can gain all the knowledge you need by downloading the free E-book at the top of the page. 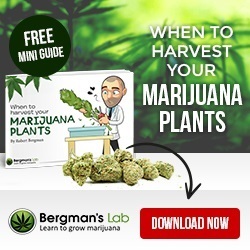 Full of techniques, feeding schedules and advice on how to grow Marijuana and totally free, without obligation. Jack Herer Marijuana has a complex flavor with hints of an earthy pine after-taste. Thick, smooth smoke with a woody aroma and pleasant, lingering smell. Large swollen buds with orange hairs offer excellent ‘bag-appeal’ with a name that guarantees some of the finest quality medical Marijuana. Jack Herer Marijuana is well-known for it’s potent medical effects. Enjoyed by both medical and recreational users alike for its energizing, uplifting high that leaves the user feeling happy, euphoric and creative. High THC levels of 20%, combined with a medium CBD content created a wonderful, cerebral high that’s long-lasting and very sociable. A great day-time smoke and one for enjoying with friends. Jack Herer Medical Marijuana is highly popular in many of the USA Marijuana dispensaries. Known for relieving stress and depression, it can also reduce pain, fatigue, anxiety, migraines, ADD/ADHD, PTSD and arthritis. A highly potent and versatile form of natural medicine. 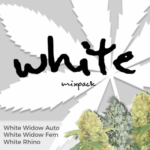 You can buy Jack Herer Medical Marijuana seeds in packs of 5, 10 and 20 feminized seeds. World-wide postage and super-stealth packaging are included in the price, and delivery is guaranteed. To find out more about buying Jack Herer Medical Marijuana seeds online, click below.